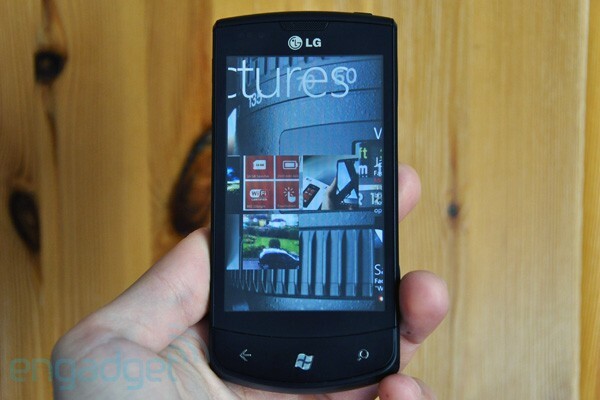 If last night's cameo showing off the official Twitter client for Windows Phone 7 wasn't enough of a hint, yes, we've gotten our hands on LG's Optimus 7. 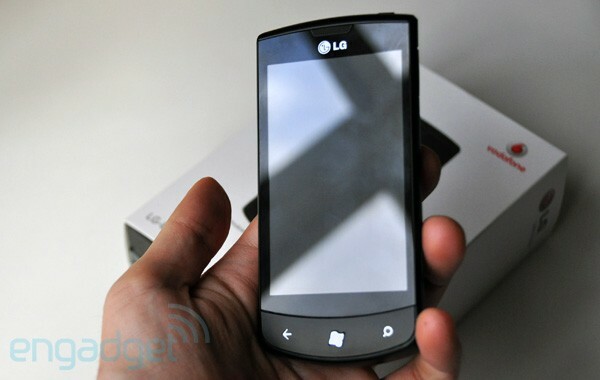 This 3.8-inch machine will serve as LG's international WP7 ambassador while Americans get to grips with its QWERTY keyboard-equipped Quantum brother. As you'll no doubt be aware by now, the internal equipment is standardized around Microsoft's chassis spec, meaning a WVGA screen resolution, a 1GHz Snapdragon inside, and a 5 megapixel camera shooting 720p video at 24fps. You'd think, therefore, that it'd be a nondescript, middle-of-the-road option, but the Optimus 7 left us extremely impressed after our first hands-on and we're eager to keep digging for more. Does it put up a righteous fight against the more ambitious HD7 from HTC and Omnia 7 from Samsung? Jump past the break to find out. This review is primarily of the LG Optimus 7 hardware. 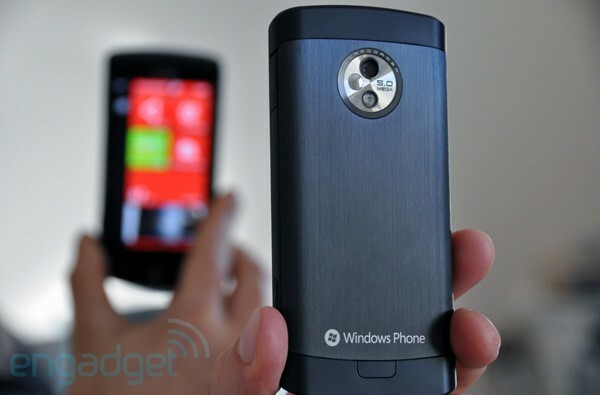 Check out our full review of Windows Phone 7 for our thoughts on the OS. How would you rate the Optimus 7? Let's kick things off with the Optimus 7's primary distinguishing feature: it's the lone Windows Phone 7 launch handset to offer a full set of physical buttons up front, which we just so happened to love. Of course, that won't be a universal truth as some will prefer feather-sensitive capacitive keys, but we were big fans of the tactile feedback we got from LG's unit. The Back and Search buttons actually take up the full width and height of their respective portions of plastic bracketing the Windows / Start key, with the central button requiring a depression of its embossed logo to register a click. That's a lot more intuitive than it may sound written down on paper, trust us. The slight downward curve upon which those three inputs are placed aids usability, as does the overall shape of the phone -- its only concession from being a straight slab of plastic comes in the form of curved edges to make for easier handling. The top and bottom of the handset slope off from the front to the back ever so gently, giving it a barely perceptible trapezoid shape when looked at from the side. That, along with the protruding (and therefore easily identifiable) Windows key, makes it pretty easy to recognize which end of the phone you're grappling with while it's in your pocket or in the dark. Overall, the Optimus 7 seems to have gotten its ergonomics just about spot on. For a handset with a 3.8-inch display, it really doesn't feel any larger or more cumbersome than more conventional 3.5-inch mobile machines, and it's only by sitting it alongside others that you notice its larger proportions. There's a reassuring heft to it, too, aided by the metal back plate covering the battery compartment, which also contributes to the high build quality. Oh, did we not mention that? Fit and finish on the Optimus 7 are absolutely terrific. The only noise you'll hear this phone's body make will come from clicks of its physical keys; try as we might, we couldn't extract a single squeak or creak from its rigid, well packed body, and there were no identifiable imperfections to its mostly clean, streamlined design. The 7 Mozart may be the aluminum unibody queen of Windows Phone 7, but this is a phone that will have nothing to be ashamed of when put right alongside it. If we have to harp on anything as far as design decisions go, it'd have to be the microUSB port cover. We chipped a nail trying to open it up the first time and it could be something that aggravates over the long term as you'll need to open and close it every time you want to hook your phone up, whether for power or data transfer. We understand why the cover's there, it ties in with the overall look and adds an extra layer of protection but it could be done more elegantly, as demonstrated by Samsung's sliding lid on the Omnia 7. The power button is also a little smaller than we'd like, but that was rarely an issue. The way the camera compartment is set up in the back of the phone is worthy of special mention. Yes, it's gaudy and highly reflective, which somewhat detracts from the understated look of the phone, but it's also quite ingeniously put together. 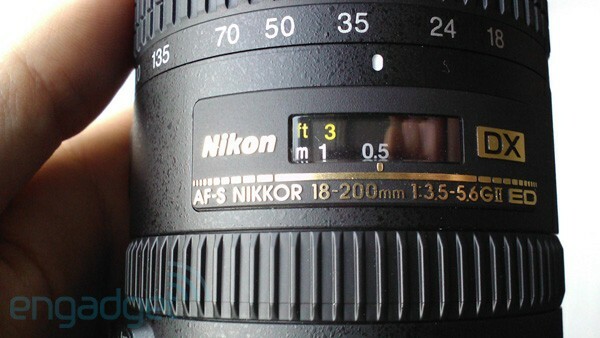 The circular surround framing the camera, flash, and tiny wide-angle mirror initially appears to be ridged, but it's actually covered by a flat glass surface, which in turn sits flush with the rest of the metallic back cover. The lens and the flash themselves are recessed a few millimeters deeper into the phone's body, serving to protect them from bumps and scrapes. LG has thereby managed to offer added protection for its handset's imaging equipment without resorting to a dedicated lens cover or a protruding camera section, which we applaud most enthusiastically. Performance on the Optimus 7 is exactly as we've seen with all the other WP7 phones we've reviewed already. Exceedingly smooth scrolling and pinch-to-zoom functionality are present in the browser, pictures app, and any other apps that use them. We never encountered any memory shortages and were generally moved through menu sections in a brisk and timely fashion. The one thing we would pick up on with the Optimus 7 is that its browser rendering suffers a little when pages are zoomed out. Anti-aliasing kicks in very nicely when you're up close, but when you're viewing the page in its full size, details start to generate (subtle) jaggy lines. So it's not perfect, but as we say the smoothness of operation more than makes up for this. Battery life was one area where we were left rather disappointed. We expected the Optimus 7's 1500mAh cell would give us more time away from the cord, but in fact it too -- just like the HD7 and its 1230mAh battery -- exhausts itself at somewhere short of two days, whatever you're doing. Intensive use does manage to show an advantage over HTC's behemoth, where LG's number seems capable of withstanding a full day's use and abuse. So the larger battery is advantageous, of course, but less so than we had initially expected it to be. Loudspeaker output was on par with what you might expect -- it's no slouch, but starts to distort at its top volume levels. LG only has the one speaker on the Optimus 7, serving double duty for both ringing tones and calls. Call quality was actually slightly disappointing, with the other party to our conversations tending to sound slightly muffled, but it wasn't really a major grievance. The same is true when using the bundled headset, though both the headset and phone seemed to have very good microphone pickup as we were complimented on the clarity of our voice coming through the call. The earphones on the bundled headset are a mixed bag. They have a very stylish in-ear design that serves to dull outside noises (though they're certainly no noise assassins like the buds you might find enclosed with Walkman-branded Sony Ericssons) and managed to pick out some very fine detail in our favorite songs. On the other hand, given a longer listen, you can tell they have a pronounced bass deficiency and generally fail to provide a true, faithful sound reproduction. That can become a nuisance for the more refined listener, but then again, he'll probably have his own set of oversized, circumaural headphones to plug in, so it's mostly a non-issue. As far as day-to-day use goes, this mic-equipped headset makes a very decent retail box buddy for the Optimus 7. The 3.8-inch LCD here looks to be about as generic and run-of-the-mill as you can get these days. It does look to have somewhat better contrast and vibrancy than the HD7, but maybe the larger 4.3-inch panel on HTC's phone just exposes its weaknesses in a more obvious manner. We certainly wouldn't say that the display is the Optimus 7's strength, but neither is it a massive weakness. So long as you don't make the mistake of putting it side by side with the Omnia 7's Super AMOLED screen, you should be alright. One somewhat underrated area of screen performance, however, is the actual touchscreen experience, which in our view was excellent on the Optimus 7. You might think that all capacitive touchscreens are born equal, but no sir (or madam), they're not. The Optimus 7 reacts to actual touches instead of glancing blows like the HTC HD7 panel. It's something we've noticed with HTC (and Apple) handsets for a while, the sensitivity of their capacitive touchscreens being a little overpowered, resulting in input being picked up from your finger while hovering immediately above, rather than actually touching, the display. We can see the reasoning behind this design decision as it makes your input seem instantaneous when you're punching away with bold and definite strokes. But, if you're prone to hovering indecisively over your next word in a message, like we sometimes are, you'll notice the occasional stray letter departing from your fingers without you physically authorizing its trip to the phone. What the Optimus 7's capacitive panel does is offer consistency. You know you have to touch it to register a keystroke, rather than merely feathering the screen or looking at it funny, which is important in keeping long-term annoyances at an absolute minimum. Of course, the corresponding tradeoff is that, very occasionally, the phone will fail to recognize one of your softer intentional taps, but we still like LG's implementation better than the aforementioned others. It just feels right. Having taken a wide variety of shots with the Optimus 7's camera, we can pretty safely say that its 5 megapixel imager isn't moving things forward in any meaningful way. That's not to suggest that it's a terrible shooter to have in your pocket, but any expectations for more than web-friendly impromptu imagery should either be tightly constrained by provisos or just dismissed out of hand. Performance in good light tends to produce correspondingly accurate and pleasing imagery, but as soon as dusk falls or you go indoors, problems arise. That's really not helped by the flash, which is extremely bright and whitewashes anything within a 50cm (1.6 feet) range, essentially rendering close intimate shots under low light a non-starter. Last time we checked with our focus groups, low light portrait shots tend to rank pretty highly up there for the sort of circumstances people want to record on their phones. On the happy side of the coin, the camera's operation is commendably quick and we enjoyed the shutter button's motion very much. Two LG-specific software augmentations bear mention here, namely the Intelligent Shot and Panorama Shot additions. Intelligent Shot does some guesswork for you and automatically tweaks camera settings, though we can't say we really noticed a massive difference when turning it on. You'll typically get results from the camera that are in accordance with the environmental conditions, Intelligent Shot won't really make them look any better and in fact we preferred keeping it off so we at least knew the settings we were shooting under. Panorama Shot was much more to our liking, primarily because of its ease of use but it also produces some quite usable imagery (see sample here) to boot. LG has thought this software though well, as once you activate the mode you only need to press the shutter button once to take the first image. From there, you're guided by a color-coded box as to where the software expects the next frame to be, and, once in position, it automatically snaps the picture for you. That goes on until you put together five frames, which are then stitched together and the result thrown into your camera roll. It's so darn simple and intuitive, it almost made our brains feel obsolete. We were just there as the plebeian camera holder for the all-powerful imaging software. Anyhow, dramatics aside, this is a great extra that should prove useful to amateurs and more serious photographers alike. So, overall, you can expect decent to great performance in better light -- albeit with noise, noise-reducing blur and general image softness at full resolution still making themselves apparent -- while low light will be as challenging to the Optimus 7 as it has proven for all other smartphone cameras. For our full thoughts on Windows Phone 7, you'd better head on over to our exhaustive (but hopefully not exhausting) review or check out the video above -- both are awesome. LG has taken the practical approach to enhancing the tightly regimented new OS by throwing in a trio of its added-value apps, alongside the aforementioned Panorama Shot and Intelligent Shot options in the camera software. Voice To Text does what the name suggests, but wasn't preloaded on our review unit; LG says it'll come as an update on October 30. ScanSearch is an augmented reality local search (honestly, these things are named very informatively), which throws up the nearest conveniences like coffee shops, banks, pharmacies, and hospitals onto a live video feed from your camera. It makes use of the Optimus 7's digital compass to show the direction of whatever you're looking for and, funnily enough, defaults to obtaining its information from Google, though Microsoft zealots can change that to Bing. While it may claim to give you more intuitive directions by pointing directly at your destination, in practice it's quite disorienting since its information only tells you where something is, not how to get to it. When that something happens to be across, say, a river, you end up preferring good old top-down maps and local info views. Which is exactly what we reverted to. Sorry ScanSearch, like most AR applications, you're more gimmicky than groundbreaking. The real star of the show here is the Play To media streaming feature. It allows sending your pictures, music, or video (in non-DRM formats) over to the nearest DLNA-capable device, meaning that any HDTV, Windows 7 PC, or Xbox 360 on your WiFi network can be instantly turned into a canvas for your Optimus 7's content. Now, frankly, we tend to be reluctant to dive into such options because of the usual hassle of getting devices to talk to each other, but LG's implementation is ridiculously simple. It comes with a quick help section to get you started and from there it's just a matter of selecting the type of content you want to beam out and picking a compatible receiver connected to the same wireless network. On Windows 7, all this required was to allow remote control under Windows Media Player's Stream settings and we were away. Check out a demo of how it all works in the video below. You should be cognizant of the fact that Play To does have its little delays, both in processing on the phone and in transferring over to the receiving device, but "little" is the operative word. We found the app a pleasure to use and imagine it'd be something we'd keep coming back to on a regular basis. In fact, if there's one thing we don't like about this streaming app, it's the refusal to handle DRM content which disqualifies Zune Pass media streaming. We're pretty sure that's Microsoft's decision and not LG's, but it would have been neat to have. As it stands, Play To is still probably the best manufacturer-added app for Windows Phone 7 we've come across yet. We'd be remiss not to add a note about the lack of multitasking or state retention in apps, which keeps hanging like a big rock around the necks of these WP7 phones. Camera settings are our favorite example to illustrate this with. You might like to have LG's Intelligent Shot on, and you might want to switch to shooting 16:9 images and 720p video (the default is 640 x 480). All of those might be your preference as default, unchanging parameters. Ah, but with the magic of WP7, they all disappear every time you exit and re-enter the camera application. Microsoft's use of subtle, unintrusive notifications for things like WiFi network detection and incoming calls and messages allays this issue somewhat, but it doesn't change the fact that if you actually want to do something like reply to a text, you'll find yourself having to exit your app, have the phone forget the settings you've altered, do your texting business, and return to tweak each individual parameter all over again. We're not so much hyped about that mythical multitasking unicorn, we just wish our apps would remember our place, you know? Frustrating. We feel somewhat odd giving such a high grade to a device that really brings nothing new to the table in terms of hardware. LG might be making gorgeous retina displays for a certain other phone maker, but that IPS goodness is nowhere to be seen here. The camera is also only mediocre, while the internal spec can be had on literally any other Windows Phone 7 device. What's really got us hooked, however, is the inescapable feeling of a quality piece of mobile kit. From the very first time we picked it up, the Optimus 7 has been delighting us with its look and feel and that emotional connection just refuses to go away. It's a minimalist interpretation of what the best possible Windows Phone should be like, and its small stylistic flourishes are augmented with an almost perfect record of intelligent design decisions. Throw in the actually valuable Play To media streamer and the fun Panorama Shot from LG's own software labs, and you get a very competent contender. It's hard to quite crown it the finest WP7 launch device -- after all, Samsung's Omnia 7 has a bigger and significantly better display -- but the LG Optimus 7 might just be the one we most enjoyed using.